← Flowchart: Which Comedy Should You Be Watching? Side note: my nephew’s trip to see this movie also came with a frank discussion about foul language and bad behavior, which is really the only transgression that pushed The Blues Brothers to an R rating. 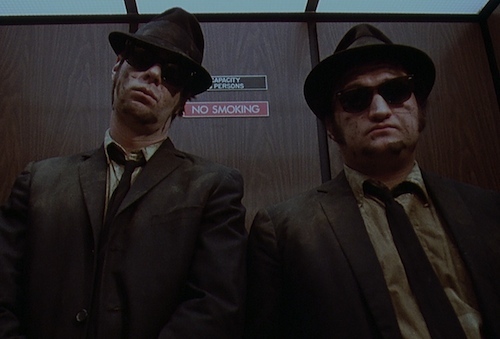 John: You saw the Blues Brothers. Did you like it? What was your favorite part? 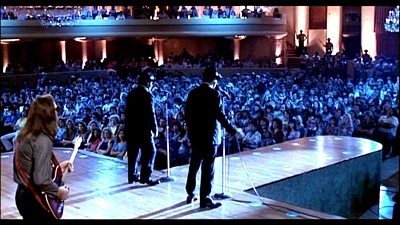 The best part of the Blues Brothers: EVERYTHING!!! Jason: (demonic giggling) My favorite part was when… when… um… um… EVERYTHING! John: Everthing? Did you like the part where the car ran into a mall? Was that funny? Jason: No. I like everything. John: Still everything, huh? Did you have a favorite song? Maybe Sweet Home Chicago? John: No? Sweet Home Chicago wasn’t your favorite song? John: Who’s your favorite Blues brother? Jake or Elwood? Jason: I think the one with the… uh… is Jake the skinny one or the fat one? John: Jake is the fat one, and Elwood is the skinny one. John: You like the skinny one better? 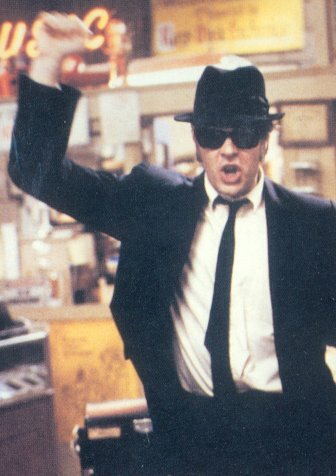 The skinny, and therefore favorite, Blues Brother. Jason: He’s skinny like me! John: What else did you like about the movie? John: Everything still? You’re sticking to that answer, aren’t you? John: Did you like the music? John: You didn’t like the music? But you were dancing to it. Jason: I was just joking when I was dancing. John: Do you have anything else you want to say about the Blues Brothers? John: Did you have fun at the movie? 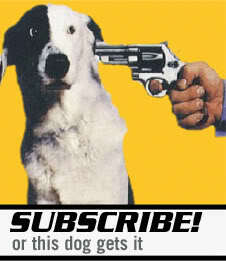 John: Did the dog go? He absolutely, positively did not dance during these scene… except when he was just joking. John: Did they use some words in the Blues Brothers that you shouldn’t use? John: You wouldn’t say those words if I asked you, would you? Jason: (giggling) No. How about cuckoo? John: Cuckoo? I think you could maybe use that word in the right situation. John: Was that one woman angry with Jake, the fat Blue? John: Did you like the part where they drove through the mall in their car? John: Do you think it’s a good idea to drive through the mall with your car? Jason: (giggling) No. I want to say something else. John: What else would you like to say? Jason: Um… it was kinda funny. I liked the part where the woman in the church slammed them with that stick. John: Because they were saying all of those bad words? Jason: Yeah. That was funny! John: What was her name? Do you remember? Was it the Penguin? John: What other parts did you think were funny? Jason: (shrugs shoulders) That’s all the funny parts. John: What parts did you like? Besides everything? John: (laughing) Was there any specific part that you really, really liked? 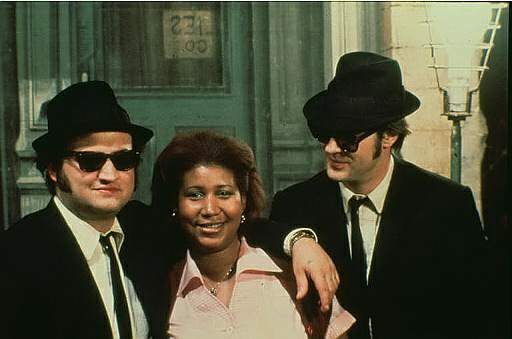 John: So on a scale from 1 to 10, how good was the Blues Brothers? Jason: No, no, I mean ten. Ten. John: Did you like it more or less than the Smurfs? In a battle of things that are blue, The Blues Brothers are triumphant over the Smurfs in my nephew’s head. John: You liked it better than the Smurfs? John: How about Arthur Christmas? John: It’s about that boy in the sweater who saves Christmas. He’s Santa’s son. Do you remember when we went to see it? John: (laughing) You don’t remember it at all? You DEFINITELY like the Blues Brothers better than that one, huh? John: The Muppets? Did you like Blues Brothers better than the Muppets? Jason: Yeah, just Blues Brothers. What was your favorite part? Let me ask YOU the questions! Jason: You have to speak into the microphone. John: Will do, sir. My favorite part… I liked the end where they were performing in that concert. Remember the end? The big concert? HAHA I do love these posts John. I tried to do the same kind of thing with my Daughters with similar results…. EVERYTHING!! I’d love to see that. Can you give me the link? Fantastic. Can’t blame the kid for saying “everything.” It’s kind of a perfect comedy. I love that he refused to be bothered with any answer other than EVERYTHING! He wasn’t going to budge from that. Kids don’t giggle demonicly, John! Great post. Would love to meet Jason one day. Haha, I promise you’d think the giggle was a bit off. I think he was hamming it up on purpose. Loved the post. Reminded me how happy I was when I saw this movie for the first time as a kid. I didn’t see it for the first time until 2 or 3 years ago. I don’t know how that happened. But I’ve seen it several times since. I think I was also five when I first saw that with my dad! Jason should get a regular feature here! Ha… I get a kick out of interviewing him. When we go to the theatre, I always try to get a few quotes out of him. Love the film and Jason was kind of spot on with everything – it’s the most all round funny comedy movie of all time and contains something for everyone. I’m somewhere in the background when they were chasing through Chicago. I had no idea what was going on until I saw the movie a year later. It is also the only movie to mention my suburban home town of Mt. Prospect. That’s excellent. So there was no idea at all that they were filming a movie? I need to do more of these with my 5 year old daughter. I’ve tried a couple times on video with mixed results. Kids + Movies = fun. Her favorite movie so far would probably be Batman: The Movie. And her favorite movie that she probably should have watched was Batman: Under the Red Hood. Ha… is she into the superheroes like her dad? Some days. She’ll go on and on about Spider-Man or Batman or Red Hood one day, then the next day it’s all about princesses and I can’t even drag her downstairs to watch a movie.